aka Pu'unoa beach - shallow and safe for little kids because of the offshore reef. In a nutshell: Shallow and safe for little kids because of the offshore reef. There is also a (higher rated) Baby Beach on the North Shore. Lahaina’s Baby Beach is mostly visited by local families with young children. The beach is protected by an exposed stretch of reef, creating a calm shallow area where small children won’t be knocked down by a big wave, and parents can let kids run without fearing the ocean too much. The video above is really nice, but Lahaina Baby Beach is probably a skip for most visitors. 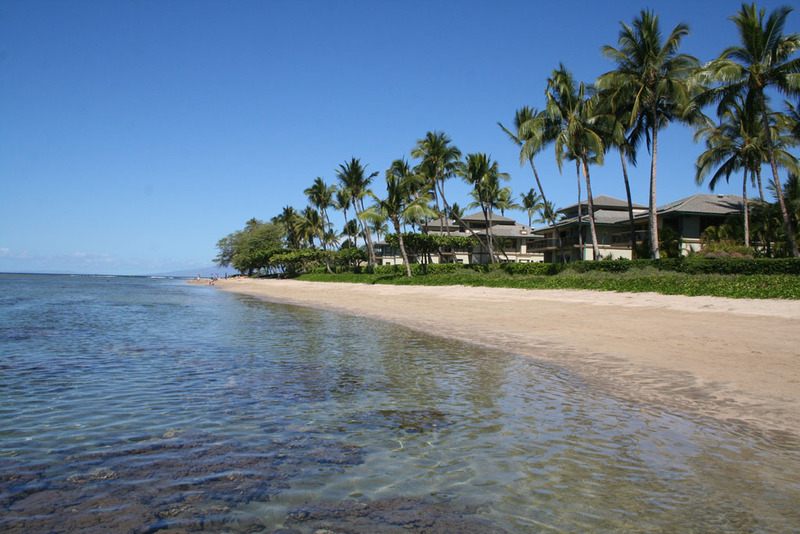 Lahaina beaches don’t measure up with those just north in Ka’anapali, Napili & Kapalua. This beach is narrow and the sand varies from an unappealing dirty-grey at the north end, to very minimal beach at all at the end where the video was shot. There are also quite a lot of coral heads & rocks throughout that are pretty to look at, but not so fun to scrape, stub, and can quickly ruin the fun adults and bigger kids might try to have in the water. Like the entire West Coast of Maui, the weather is almost always great and the beach does have spectacular views of the ocean and neighbor islands – but, really, this is probably a better beach for local folks – if you’re visiting on vacation for a short time, why settle when some of the best beaches in the world are just up the road? Location: Off of Front St. at the end of Pu’unoa Pl. Facilities: Restrooms, showers, no lifeguards. My walking abilities are not that good. Is it hard to get to the water? And parking for handicap, is provided? This beach was the best! I swam with a local family. For hours on my vacation! This in my opinion is a great place to chill on a Saturday morning! Watch the kids play and swim. But like the article said the bigger beaches bring more attraction to people and marine life alike! This is a FANTASTIC beach for little kids. We have 3 kids; 3.5 and younger, and it is perfect for them. Also you can rent a paddle board nearby and take the kids out to check out the reef, in case they are too young to snorkel. Would definitely recommend it to families. families. No big waves and great for kids. My family has been staying at a house on this beach for over ten years and we keep coming back. My two year old grandaughter will put her cute little feet in Baby Beach in a few weeks! I can hardly wait!!!!! My daughter got married on this beach.